Renata Fossett will teach you how to make a warm winter hat using the ancient technique of Nålbindning. This class is ideal for beginners, or for intermediate learners who would like to review the basics. 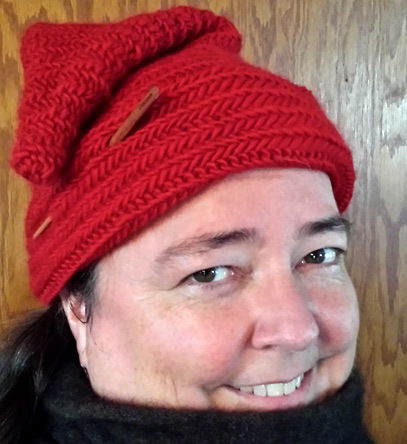 Renata is happy to bring this ancient technique to you and show how to execute the stitches and understand the basics of hat construction and pattern reading. Nålbindning is an ancient form of fabric construction that dates back to the Iron and Bronze Ages, and was used in many regions of the world. 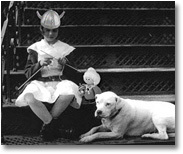 For hundreds of years, Scandinavians have used nålbindning techniques to make hats, socks, milk strainers, and mittens. Renata will teach you how to make warm mittens with the Oslo and Kent stitches and ornamental braiding. This class is ideal for intermediate learners who would like to expand their nålbindning skills & work on construction with matching pieces. 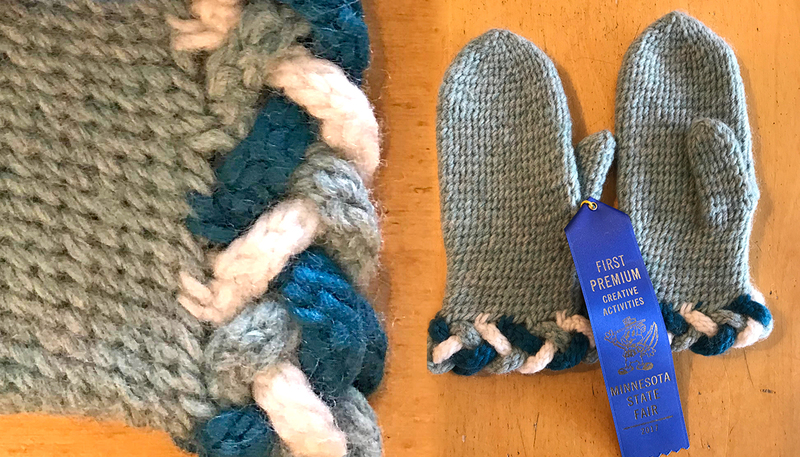 You will use Renata’s pattern for her 2017 Minnesota State Fair blue-ribbon winning mittens. Due to unforseen circumstances, we'll be rescheduling this class sometime next fall. Please check back! 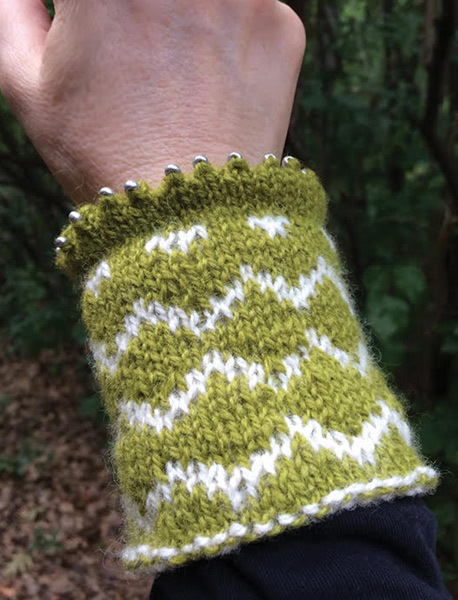 Knit a pair of fine cuffs the instructor has designed with inspiration from a traditional pattern found within her family’s Swedish Västergötland province (located along the southwest coast of Sweden). In this one-session class, students will learn fine colorwork technique as it relates to a vintage pattern from the province, as well as how to incorporate beads into a picot edge. (The beadwork is optional.) The long-revered textile traditions of Västergötland will be discussed and examples of other work from this textile-rich region will be shown. These are elegant and warm cuffs! 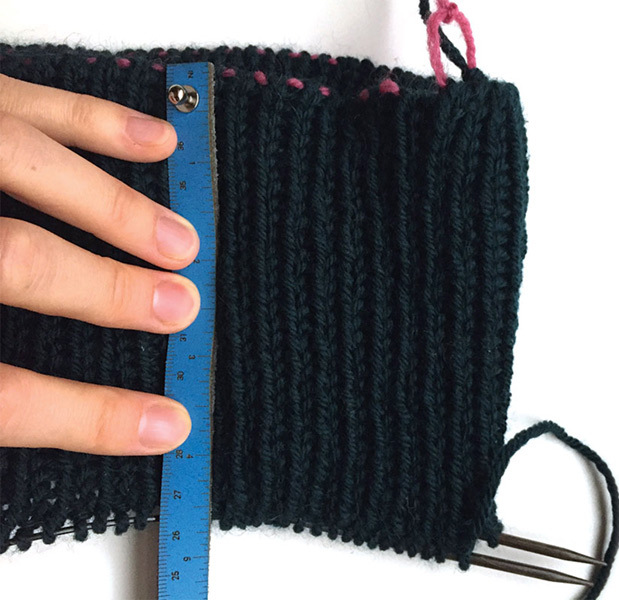 The pattern will include options for completing the cuffs at home as fingerless or fingered gloves, although the project may be finished as just cuffs. 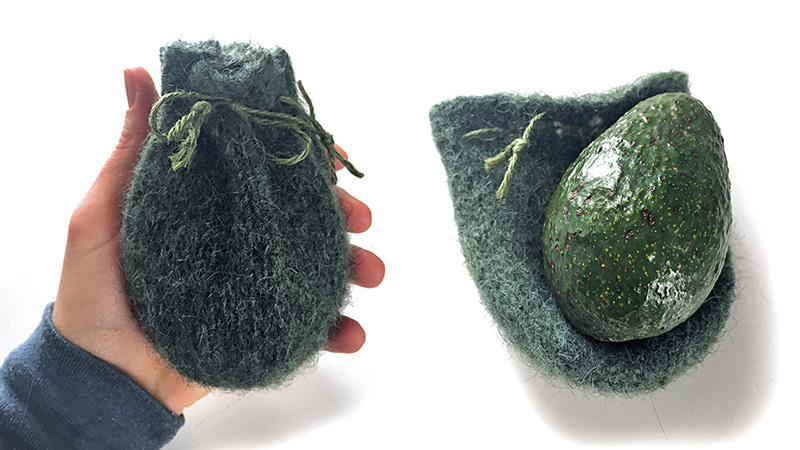 Skill level: Preferably some experience in knitting in the round with double-pointed needles. All supplies (except optional beads) may be purchased in the shop before the start of class. The instructor will bring some beads for students to purchase but students may wish to find their own unique beads to match their chosen yarn prior to the class date. Gauge is IMPORTANT! Bring a range of needles or preferably, knit a gauge IN ADVANCE of the class. The gauge to match is 6 stitches to the inch. The cuff pair only needs 1 skein of the main color and one of the contrasting (pattern) color. If the student wishes to go beyond the cuffs and make either fingerless gloves or fingered gloves, they will need 2 skeins of the main color but still only 1 of the contrasting color. These may be purchased at JoAnn’s, Michael’s, or just about any craft supply store as well as at specialty bead shops. They are quite inexpensive and can come in large quantities so many cuffs could be knit and beaded with one package of beads. Size 6/0 “E” Seed beads (3.3 mm) - Quantity: 54 beads for up to a pair of the large-sized cuffs (some may be left over, depending upon the cuff size chosen. If you’re stuck in the middle of a project, want some tips for finishing your work, or are just starting to knit, come and join us. All are welcome! Norway House 913 E Franklin Ave, Minneapolis. $5 donation is appreciated. 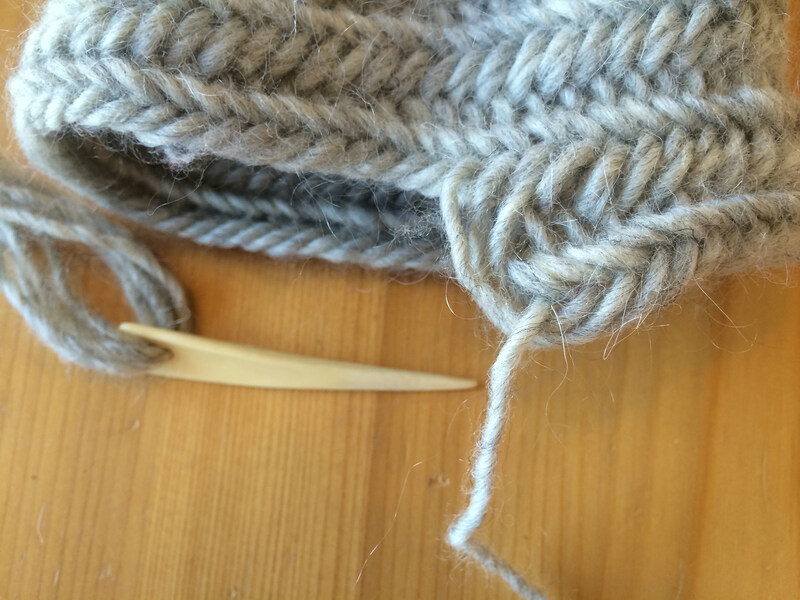 Have a knitting question or want to master a new technique? Need someone to give you the courage and some pointers as you cut your first steek? 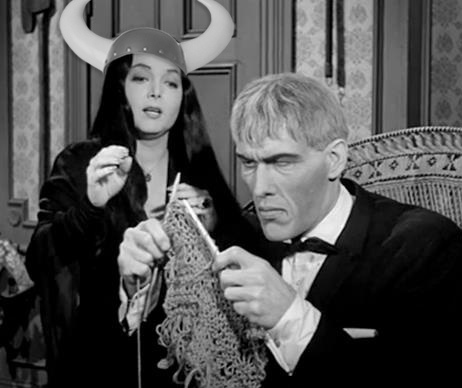 Individualized knitting instruction is available. Call the store or email classes@ingebretsens.com and tell us what you need to learn. We'll arrange the knitting teacher and you will set the time. $25 an hour. Knit two (or six or ten) together. Come relax, knit, chat, and see what other knitters are working on. It's free, and everyone is welcome!